Big Tech employees overwhelmingly want to see the censorship of Alex Jones expanded, according to a new survey. Blind regularly polls its users on a variety of topics, some as mundane as salary and benefits, others include the James Damore Google memo case and allegations of sexual harassment at Uber. 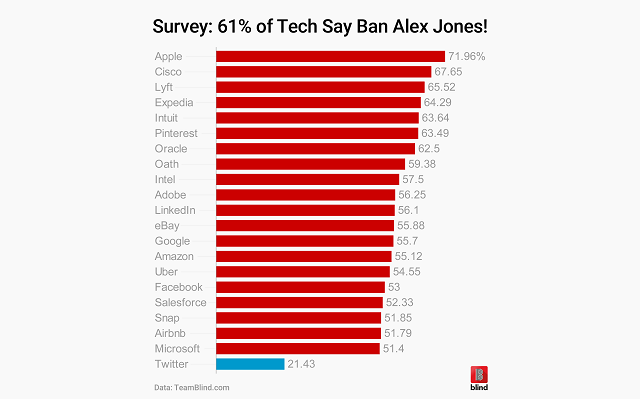 Now the app has polled tech workers on their opinion of the banning of Infowars host Alex Jones with a poll titled ” Should Twitter ban Alex Jones from its platform?” 5,137 Blind users took part in the survey in late August. Of those 5,137 users, 61.18 percent stated that they believed the InfoWars host should be blacklisted from Twitter’s online platform. Apple had the highest percentage of employees calling for the censoring of Jones at almost 72 percent. 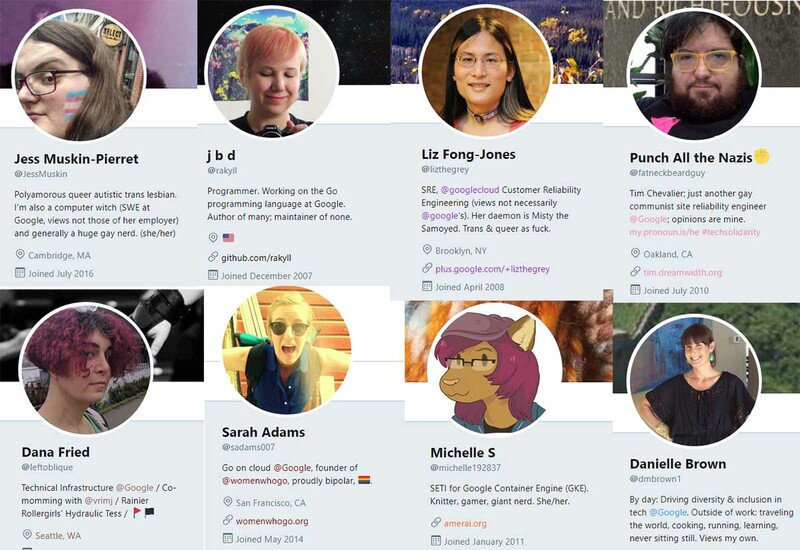 All of the tech firms represented had more than 50 percent of employees agreeing that Jones should be blacklisted, with the notable exception of Twitter itself, with just 21 percent of its employees agreeing with Jones being kicked off their employer’s platform. To quote our great president, "these are not good people, folks!" Fortunately, President Trump is standing up to these petty tyrants. As he said during his rally in Indiana on Thursday, "We will not let large corporations silence conservative voices." "We're not going to let them control what we can and cannot see, read and learn from."